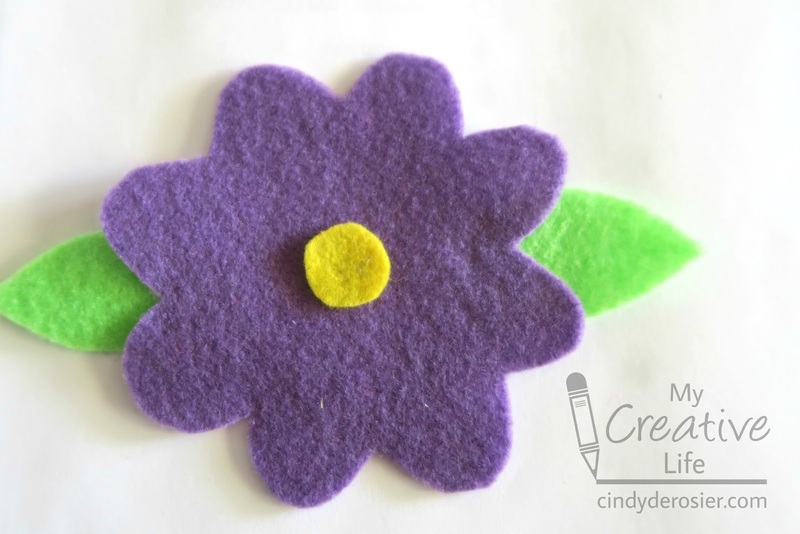 When we visited my parents for Easter, my mom asked me to create felt flowers for her to use with the preschoolers. 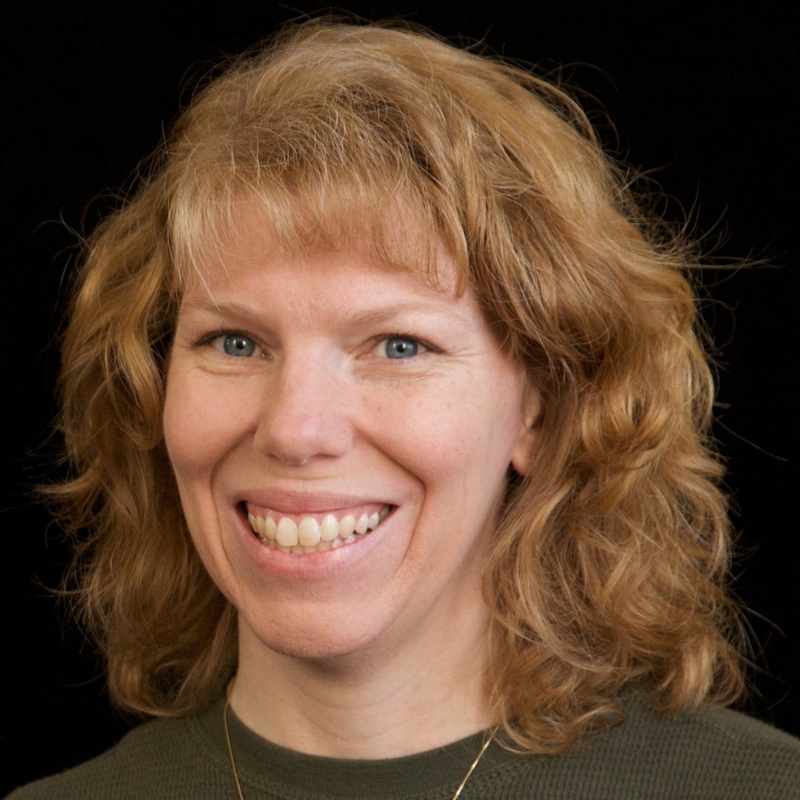 (She retired from teaching preschool years ago, but still spends quite a bit of time teaching preschoolers for someone who is retired.) She wanted six felt flowers in different colors to accompany a flannel board poem. ... until she followed me back to the dining room table where I was crafting and saw the rest of the flowers. Mom: Those are nice, but preschoolers hate white. Mom: White. Preschoolers hate it. You need to choose colorful colors. 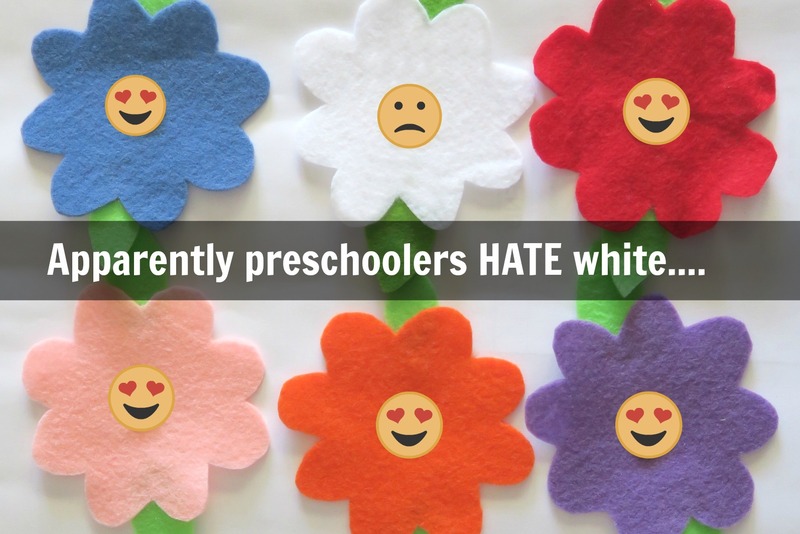 Me: All preschoolers hate white? Are you sure? Mom: Yes. They hate it. Me: (calling my 5-year old niece, who is playing in the other room) Allison! Me: (holding up a flower) What do you think of this pretty white flower? Allison: Yuck! I hate white! Me: You hate white? What is wrong with white? Allison: It's plain, like white paper. Yuck! 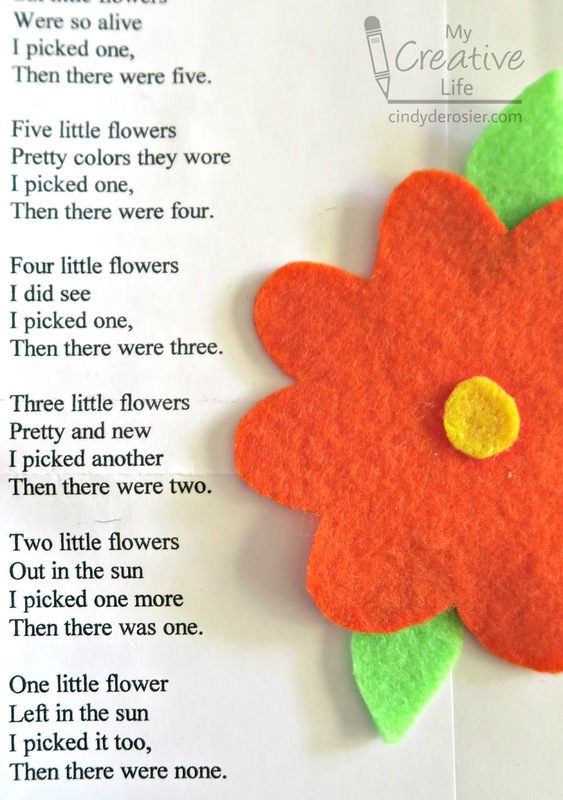 Me: So what colors do preschoolers like? Allison: I like pink and purple. I'm sure somewhere out there is a preschooler who likes white, but allegedly (s)he is in the minority. I had no idea. I like white. I wonder if I hated it when I was in preschool. I don't remember Trevor having a strong opinion about white. He always chose blue, with green as his second choice if blue wasn't possible. Preschool teachers or parents/grandparents/etc. - have you found that preschoolers hate white? Or are Allison and my mom's 40 years' worth of preschool students atypical? Let me know in the comments! I hate white and, also ...just FYI..vanilla ice cream is my least favorite flavor ever... both are too plain, yuck! I haven't heard them list it as a favorite, but I don't think they openly hate it. Now I will have to take a poll. I eagerly await the results! I know that I HATE Preschoolers who WEAR white! Ummmmmmm too many chances for stains!! LOL!!! Brookie didn't own a white shirt until I was sure she wouldn't spill on herself!! HA!! Yes, I am a neat freak, and I proudly admit it!! LOL!! :) But I didn't know that they hated white!! That's funny!! LOVING these flowers! So FUN!!! So true! I hadn't thought about that, but other than his baptism shirt, I don't think Trevor had white clothes until he was school age! Hehe...I didn't know they hate white! But kids are usually drawn to colours for sure.